Stem cell treatment improves chronic obstructive pulmonary disease COPD. Stem cells are magical in the things they can do. Just about every ailment they are aimed at succumbs to them. It could be that in the future it will be the most-used method of treatment. There is a case for fast-tracking treatment to help those with chronic illnesses. Two patients with chronic obstructive pulmonary disease were injected with adult stem cells. After only a month they improved. A study of nine people also having the condition were given stem cells taken from bone marrow. Inflammation was reduced significantly. 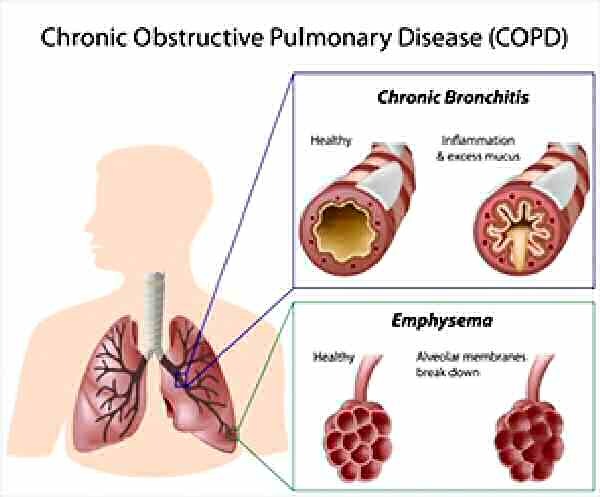 There has not been any method of treatment for COPD until the use of stem cells came to the fore. It is estimated that nearly 15 per cent of Australians over 40 have the disease. This is incredibly high and hard to believe. The major symptom is difficulty breathing. A reduction in inflammation improves lung function. Dr Moodley who announced the research findings said the treatment could save governments millions of dollars. It seems odd that a physician's main priority is economic rather than patient welfare!